In the course of running your business with iPads and in the movement of staff from one business department to another, many employees tend to get their iPads locked or disabled and end up submitting a disabled iPad to the company. How can you as an administrator restore a disabled iPad Mini or Air to re-use it in your business operations? The solutions to restoring a disable iPad are discussed in this post. How Long Will iPad be Disabled? 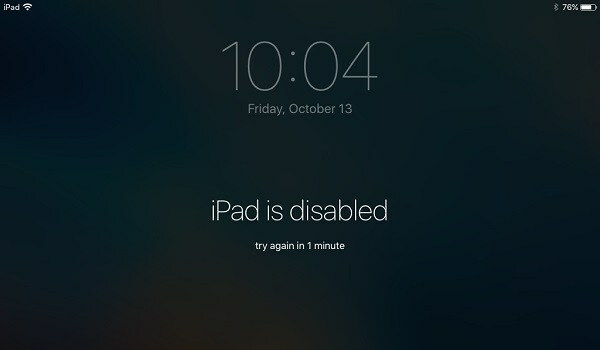 When your iPad is disabled due to the wrong passcode, it will be initially disabled for one minute. If you enter the wrong passcode after the one minute has elapsed, then it will be disabled for 5 minutes. However, if you continue entering the wrong passcode, the iPad will eventually disable itself completely and ask you to connect to iTunes. Nevertheless, there are other better ways to unlock an iPad without iTunes. We’ll discuss how to restore a disabled iPad with or without iTunes. Are you seeing the notification “iPad is disabled, try again in 5 minutes” but you don’t have a clue about the passcode your ex-employee set on the iPad? Then don’t over flog yourself for not checking the device before letting him go. All you need to unlock your iPad is iMyFone LockWiper. 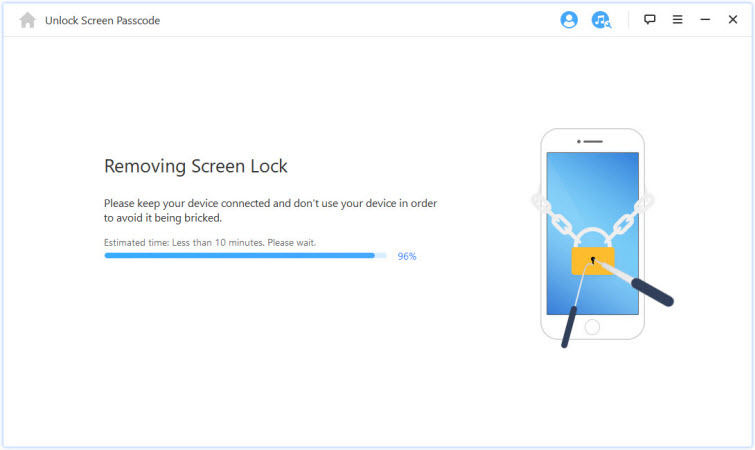 LockWiper is the ultimate iPad lock remover software, and it earned this title from top media sites and software review authorities. LockWiper can restore your locked iPad in less than 5 minutes to save your organization the cost of acquiring a new one. Even if your iPad is locked by an Apple ID, it can help you remove it easily without password. Fix also iPhone screen issues, like stuck at white/black screen, recovery mode, etc. Step 1. 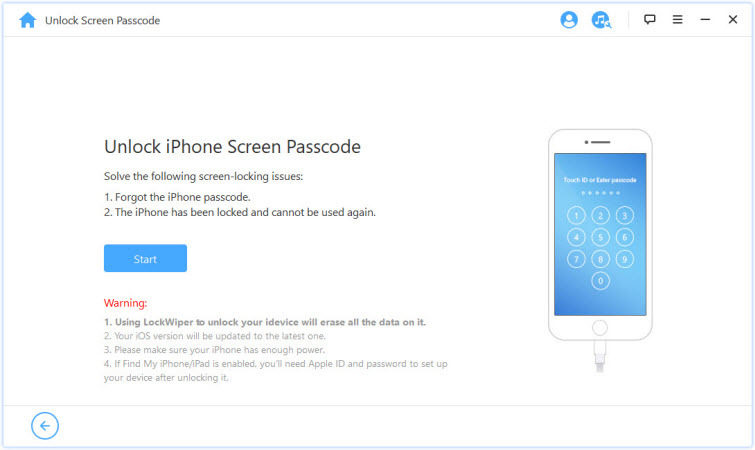 Download and install iMyFone LockWiper on your PC/Mac. Launch the program, click the “Start” tab. Step 2. 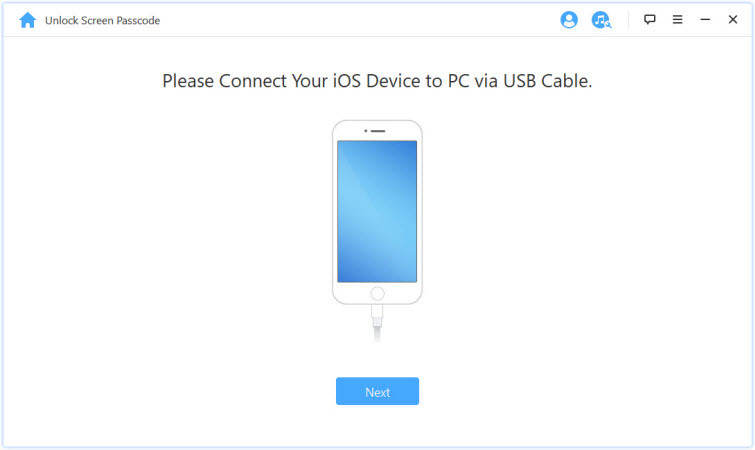 Connect your iPad mini/air using a USB cable and click Next. Step 3. 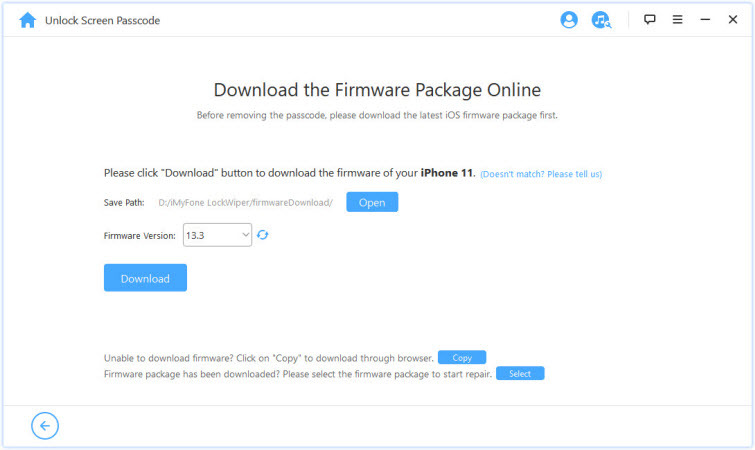 Download the firmware package for your iPad mini/air by clicking the “Download” tab. And wait for it to verify and extract. Step 4. Click “Start to Unlock”. Then, carefully enter “000000” into the box, and click “Unlock”. Step 5. Then, carefully enter “000000” into the box, and click “Unlock”. Just wait for it to finish, it won’t take long. Sign in to www.icloud.com with your Apple ID and password. Go to “Find iPhone” tab and click it. Click the “All Devices” tab at the top of the screen. Select your iPad Air/Mini, and click “Erase iPad”. Confirm it by clicking “Erase”. Your iPad will be restored the moment it comes online, but if Find My iPad is not enabled in your device, then you can’t use Find My iPad to restore the device. If your iPad is locked, you can unlock it using iTunes, but if you haven’t synced this device on iTunes, then iTunes will restrict you from unlocking your disabled device. Step 1. Connect your iPad to the computer you synced it with, and launch iTunes. If iTunes requests for a passcode, connect to another computer. Step 2. Wait for iTunes to sync your iOS device completely and make a backup. Step 3. Click “Restore iPad”. Step 4. When you get to the Set-Up screen, choose “Restore from iTunes Backup”. Step 5. Select your iPad Air or mini in iTunes and check the data and size of the backup before choosing it. All these solutions are effective in unlocking a disabled iPad Air or mini, but iMyFone LockWiper is the only efficient solution on the list. 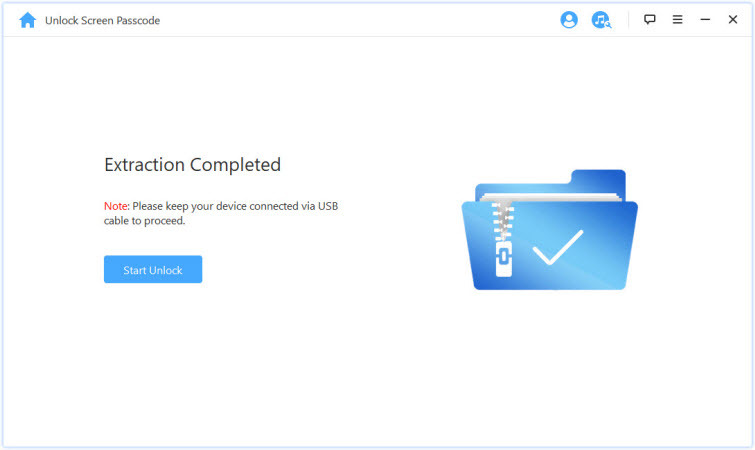 So, install LockWiper on your PC now to instantly unlock your disabled iPad or iPhone.